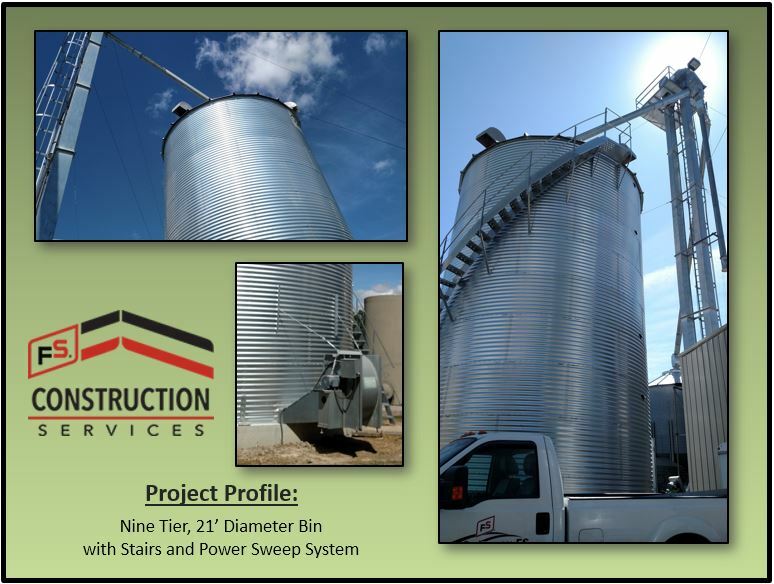 This 21′ in diameter, 39′ tall Sukup grain bin was built by FS Construction Services at the tail-end of winter, just in time for the start of he next growing season. This 9-ring tall bin also featured stairs, a power seep, and had a capacity of 9,800 bushels. This taller- and skinnier-than-most grain bin was designed to be used as a wet holding tank to feed a grain dryer.